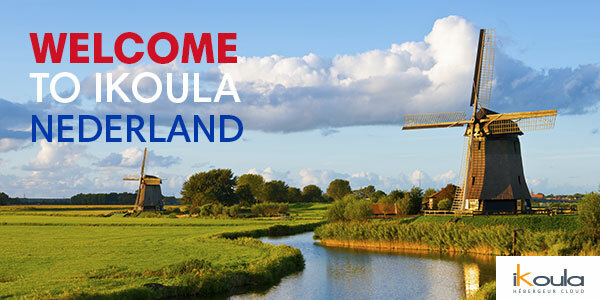 We are proud to announce the acceleration of our international expansion with the opening of our first subsidiary in the Netherlands, Ikoula Nederland. "Our two companies share the same vision of the market but also the service: customer support and technical support available 24/7. '' The acquisition of Ermis allows us to enter the Dutch market alongside an actor with proven and familiar with the local peculiarities. ' said Jules - Henri Gavetti, CEO of Ikoula. The Dutch market is one of the most dynamic in Europe: in 2015, the IaaS (infrastructure-as-a-service) part represented EUR 340 million and a growth of more than 11.7% of the market is scheduled for 2018 *. We are not misled and had already opened our public Cloud offering to Amsterdam last September. Ikoula Nederland opening confirms our implementation in the country. By the end of the year 2016 we expect to double our turnover in the Netherlands, by strengthening teams on-site and by offering a wide range of solutions and value-added services. We also intend to impose upon us as an expert of the Cloud to the Netherlands, while maintaining the degree of innovation, quality of service and customer support have made our success in France. We are once again the best in The Netherlands! .Vin and .wine extensions are available! Champagne!